The screw air compressor will have the best working condition only if it is maintained adequately. Correct maintenance can increase the service life of the whole machine and greatly save the time of failure shutdown. The air compressor air filter (air compressor inlet filter) maintenance is very important. If the air compressor is installed in a clean, low temperature environment, the service cycle can be extended appropriately. Screw air compressor manufacturers have provided customers with a reference time, if the air compressor installed in a clean, low temperature environment, service cycle can be appropriate side length. develop the correct compressors air filters service cycle should be based on the use environment of the machine. The air compressor inlet filter element is equipped with a differential pressure switch. When the set value of the differential pressure switch is reached, or the time of the internal timer is zero, the liquid crystal display the compressor inlet filter is blocked, indicating that the inlet filter element must be cleaned or replaced. Maintenance should be carried out after the air compressor shuts down and proper safety measures are taken. Looking for air filters factory? 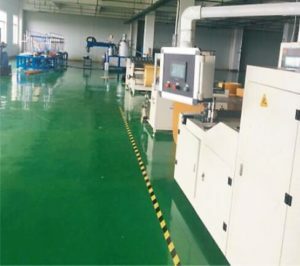 As a professional air compressor air filter factory in China, we can provide a full line filter replacement with superior quality and competitive price for major compressor brands. how to install air filter on air compressor？or how to maintain an air filter, please check the following. Loosen the fixed screw of the air compressor inlet filter element and take out the filter element. Check the air filter plug request, use compressed air from inside to outside to clean up the ash, pay attention to the pressure of compressed air does not exceed 0.3MPA. When the inlet filter element for air compressor is damaged, it should be replaced. 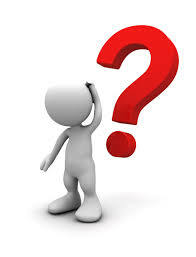 Check whether the filter element is damaged or not. Use electric lamp to place inside the air filter element and observe whether there is light exposure outside. 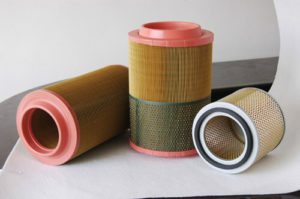 When oil contamination occurs on the surface of the filter element, an air filter in compressor should be replaced. Clean or replace the air compressor inlet filter element and cover the end cap. Check that the pressure difference switch equipped with the air filter element is normal, and the preset value does not exceed 50KPA.